With Independence Day accounting for the consumption of 155 million hot dogs alone, it only makes sense that July is National Hot Dog Month. Then there’s a day dedicated to the wiener, but there is some contention over which day exactly. But it’s certainly between July 19 and July 23. Whatever the case (sorry, pun not intended), we are happy to celebrate the sausage heard round the world. 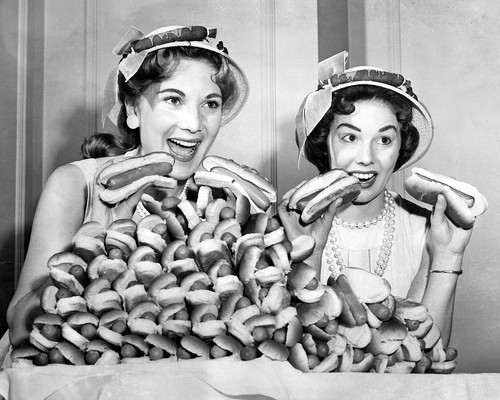 Like the hamburger, America’s other favorite meat in a bun; the history of the hot dog goes back to Germany. But it was at an American baseball game in 1901 that the dachshund sausage was first crammed into a roll. Or it could have been in the 1870s at Coney Island, in Brooklyn, NY at the first Nathan’s. While the origins are murky, passions for our national link sandwich run high, with condiments and dressings reflecting regional tastes. 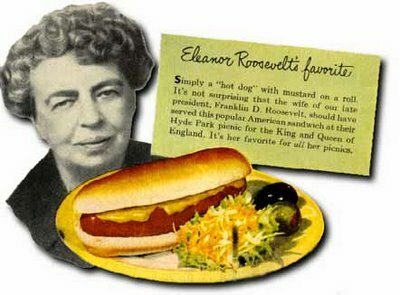 In June of 1939, President Franklin Delano Roosevelt famously served hot dogs to King George VI and Queen Elizabeth on the porch at his estate at Hyde Park, NY. When the queen was puzzled over how to eat them, Roosevelt explained: “Very simple. Push it into your mouth and keep pushing it until it is all gone.” The New York Times reported on the front page that the King asked for a second hot dog after enjoying his first, and washed them down with beer. 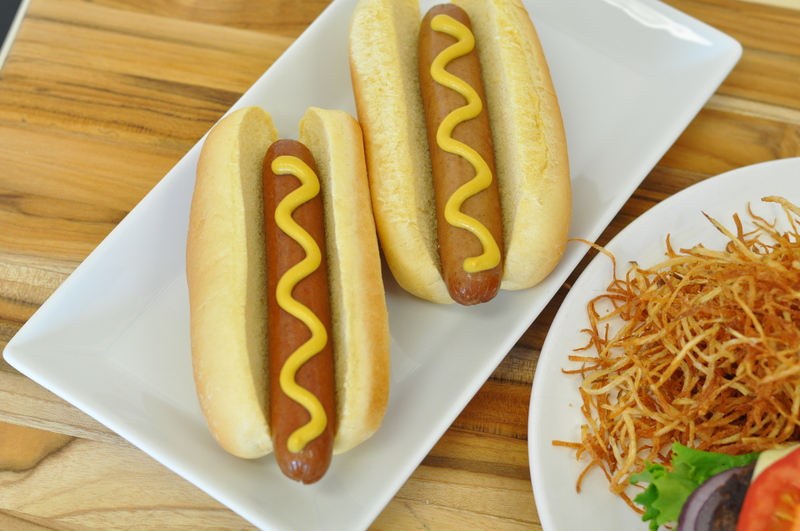 The hot dog had arrived as an iconic American food. Nowadays, the hot dog has gone haute, along with the food trucks that often sell them. Whether made of duck, buffalo, wagyu beef or alligator meat, and topped with foie gras, homemade pickles, hot peppers, chili, or sauerkraut, the mysterious appeal of the hot dog has endured. So Happy National Hot Dog Day! Go get yourself a dog…. Next Post Read Between the Buns!